Pork can be frustrating for cooks because it is difficult to keep tender as it cooks. 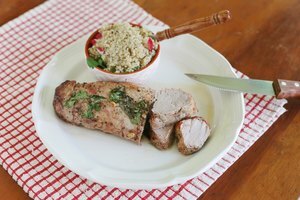 Pork loin is especially tricky because it lacks moisture-locking fat and requires a lengthy cooking time to ensure adequate food safety. Fortunately, that time was lessened in 2011 when the United States Department of Agriculture in 2011 reduced the recommended internal temperature and color development guidelines for pork. The reduced time gave cooks new hope of achieving tender pork dishes. 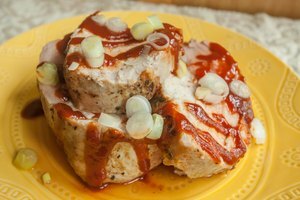 Several other attributes influence pork loin's tenderness as well. There are several different cuts of pork loin. The tenderloin has the most name recognition, but the name is a misnomer. Tenderloin is long and has low fat content compared to other loin cuts. It is prone to drying out while it cooks. The center rib roast of the loin is a broad cut of muscle with a large fat cap over the top. It is the pork equivalent of beef prime rib. The fat cap locks in moisture during the cooking process, increasing its tenderness. The center loin roast is juicy, tender by nature, and evenly shaped all around, which are all benefits over the elongated tenderloin. Marinate your tenderloin to make it more tender. Immerse the tenderloin in the marinade for two to 12 hours before cooking it. 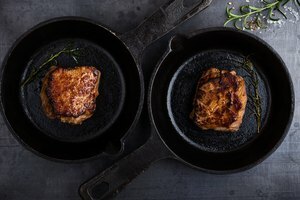 Some cooks take it one step further and roast the tenderloin in a wine or stock-based marinade. The center rib and center loin roasts do not benefit from marinades because they are so large. 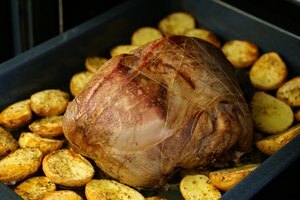 For those cuts, simply season the surface of a roast before placing it in the oven. The USDA used to stipulate pork must have an internal temperature of 160 degrees Fahrenheit and contain no pink flesh before it was safe to eat. The updated 2011 guidelines reduced the recommended temperature to 145 degrees and allow the center of the pork to remain light pink, as long as it is opaque. 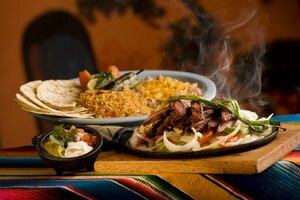 When it comes to meat, the cook times listed in recipes are only approximations. Cooks should determine their own cook time by the internal temperature of the pork loin, rather than a set time. Handle the pork with tools that cannot pierce it while it is cooking. Any puncture in the meat causes it to lose valuable moisture. Taking the meat's temperature requires a puncture, but that should be the only time the cook pierces the meat. Grilling is fine for all three loin cuts, but roasting is more reliable when tenderness is the prime concern. An oven is easier to regulate than a grill. Keep a tenderloin covered as much as possible, with foil or a lid, during roasting. Covering the other cuts is optional and depends on the surface texture the cook desires. Uncovered roast has a crispy surface, whereas covered pork does not. A crispy exterior is more likely to seal in moisture. Regardless of the cut or cooking method, you should cover pork with foil for five minutes after removing it from the heat. To maintain tenderness throughout service, cut portions against the grain to break tough proteins in the pork.